Have you ever stayed in a hotel where the bed was so cozy, the towels so soft and the air so fresh, that you just wished, you never had to leave? As much as I love coming home and sleeping in my own bed – it’s just not the same without the little packages of soap and shampoo waiting to be smelled in the bathroom, without the soft slippers right next to my oversized bed, the substantial breakfast buffet waiting in the downstairs restaurant for me and the DAILY clean bathroom. And while I can take at least the slippers back home – shhh! – and ask the chef about his secret pancake recipe, all I dream about as I scrub the bathtub myself, is the next cool hotel to escape to. It doesn’t even have to be a luxurious five-star hotel that I shouldn’t be putting on my credit card anyways. There are so many hotels that are awesome and affordable. 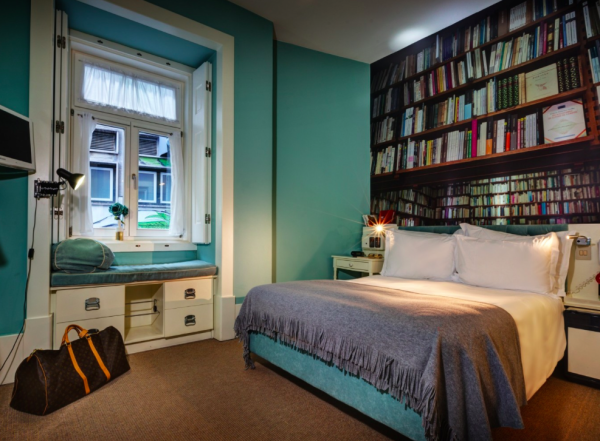 Just in case you plan a Euro-trip and are just not the hostel-kind-of person, we have collected a list of cool hotels all over Europe where you can rest your head for less than €100. 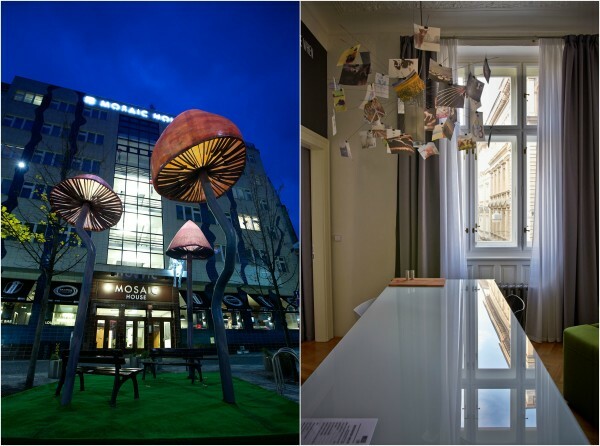 Mosaic House is a rather new hotel in the new town area of Prague, Nové Mesto. 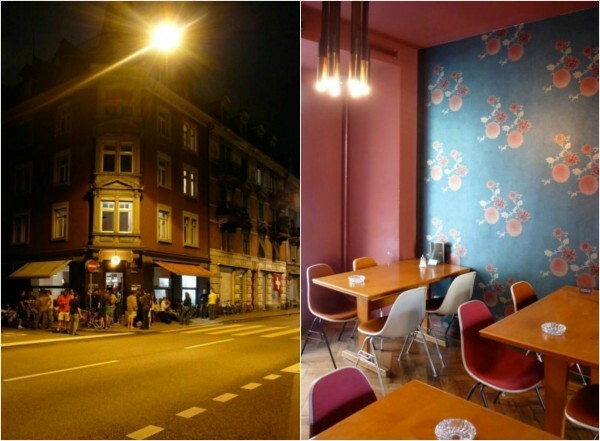 Located in a former trade union building from 1935, it was restored and opened as a hotel and hostel in 2010. Prague’s historical Old Town can be reached in 10 walking minutes, so it is really just a stone’s throw away from Charles Bridge and the Jewish Quarter. Even Prague Castle is just a 20 minute tram ride away – the location is gold. With Mosaic House, the name says it all; it’s a place where all kinds of people meet and mingle – a buzzing mosaic of budget travellers, couples, party people and locals. A great add-on to this atmosphere is La Loca Music Bar & Lounge, which is located in the same building, just next to the reception. They have daily music programme, sometimes live music, and also a very popular karaoke night. There are shared rooms available, but what catches the eye are the stylish private rooms – particularly the ones with their own terrace (even those are under €100! ), and the penthouse with views over Prague. Admittedly that one goes a little beyond the €100 budget… If you’d rather have an apartment, have a look at Mosaic’s friends over at MOOo, with holiday rentals just across the street. Mosaic House is a green business, using renewable source electricity and – as the second place in the world – a grey water recycling system with heat recuperation, so no water you use in the shower goes to waste! 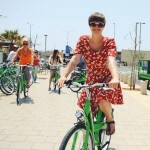 They also rent out bikes and segways, offer cycling tours through the city, and free walking tours. Ready for Prague? 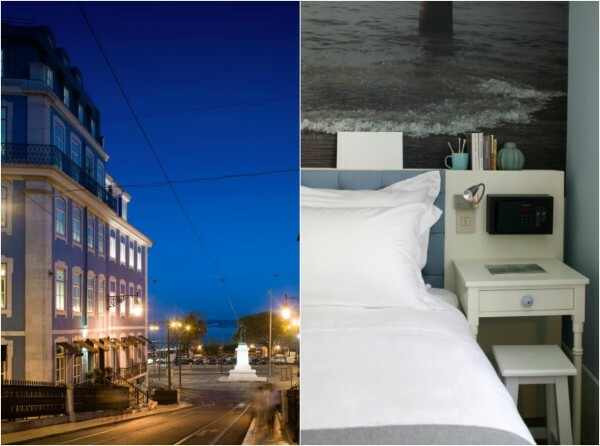 LX Boutique Hotel is a cool boutique hotel in the centre of Lisbon, which comes with luxurious 4 stars, but without the heavy price tag. Located in a century-old building, which was first left to decay, but then saved and renovated as a hotel. Each floor has a different theme mirroring the different sides of Lisbon – a true sense of ‘the journey starts in the hotel’; everything here is about the experience. The hotel lies in one of Lisbon’s coolest areas, Cais do Sodré, which used to be the red light district, but is now dotted with restaurants, art galleries and places for outdoor music sessions. Everything you could ask for is just a few steps away, and many rooms even have a beautiful view over the river Tagus. 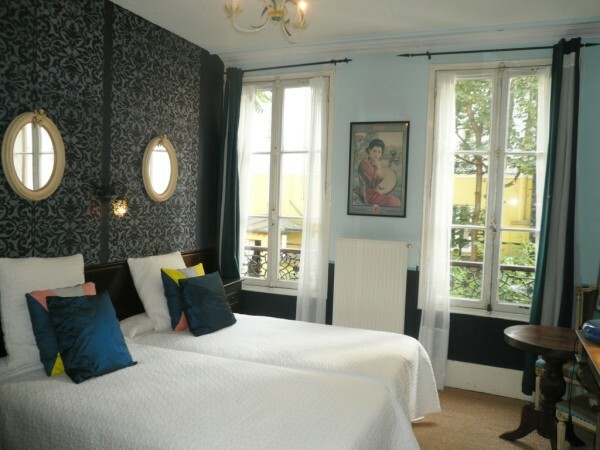 Finding affordable accommodation in Paris can be quite a challenge, especially if your hotel should not only be cheap, but also stylish. Hotel Eldorado, however, has both. It lies in Batignolles area, a lively and typical Parisian neighbourhood and is particularly popular with artists. It’s close to a metro station, which means Paris lies basically at your feet. The interior is a little bit on the opulent side, with loads of vintage, antique furniture – but that just enhances the atmosphere. 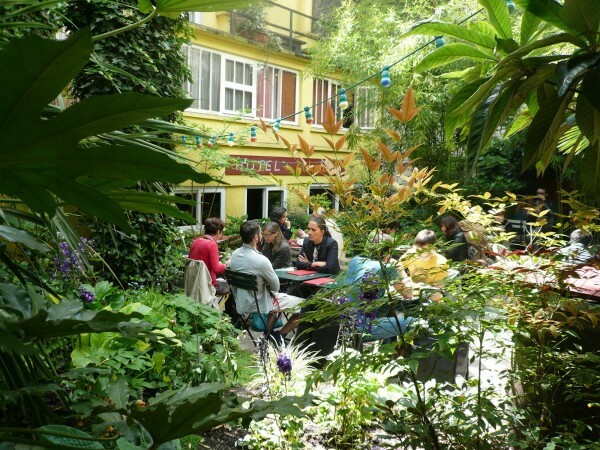 What is particularly nice about this hotel, is that there is a garden and terrace on which you can enjoy your Parisian pastries for breakfast – if the weather allows. Located in easy walking distance to Vienna’s brand-new central train station and just a stone’s throw away from the impressive Belvedere palace and museum, Hotel Daniel is an ideal home base to explore the city. 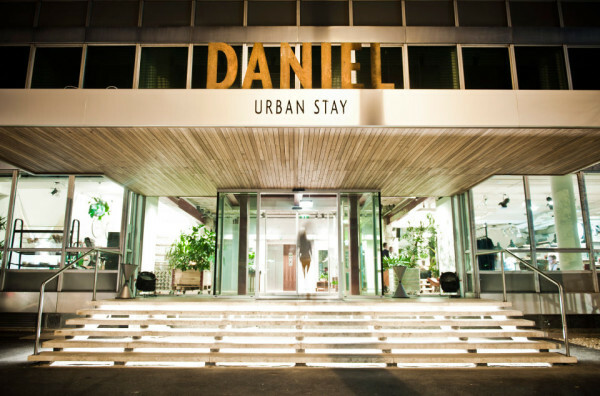 Its sister hotel in Graz, Austria’s second-biggest city, has been around for a little longer, but Daniel in Vienna was launched only three years ago (autumn 2011). Its concept is ‘smart luxury’ – minimalistic design, luxurious comfort and smart solutions. Not only is it a green oasis in the city centre – which other hotel is so big with urban gardening? Its roof top is even home to a bee colony. The honey served for breakfast and in the bakery is definitely one of the freshest there is in the city. 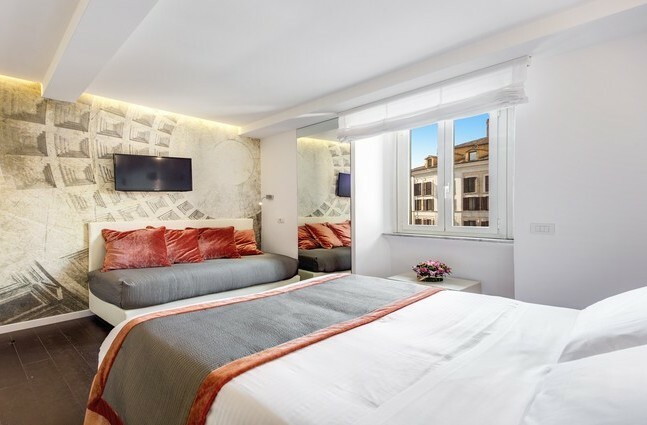 A hotel smack-bang in the heart of the city and directly opposite of the famous Pantheon – sounds unaffordable, right? 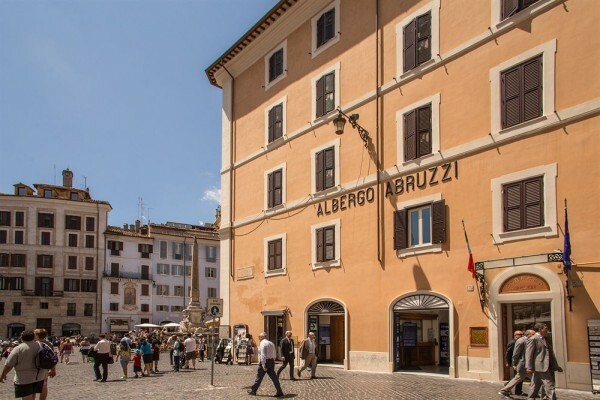 Not with Hotel Abruzzi, a small three-star hotel with only 26 rooms, most of which overview one of Rome’s most impressive buildings. In this location you are only steps away from sightseeing in the historical city centre, Italian espresso like you have never tasted before, and shopping for high fashion or on markets. Seeing that the hotel was just recently renovated, it has nothing of the Italian ‘charm’ – aka. 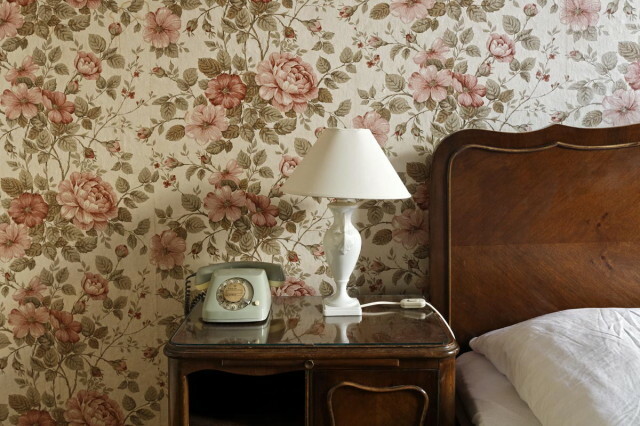 the old-fashioned look, but not in a vintage way – so common in hotels of this category. What more boxes could it tick? Istanbul is the kind of city, where nothing can be too decadent – Turkish delight so sweet it makes your teeth stick together, nightlife so vibrant you never want to go home, and hotels so indulging that you turn homewards anyways. 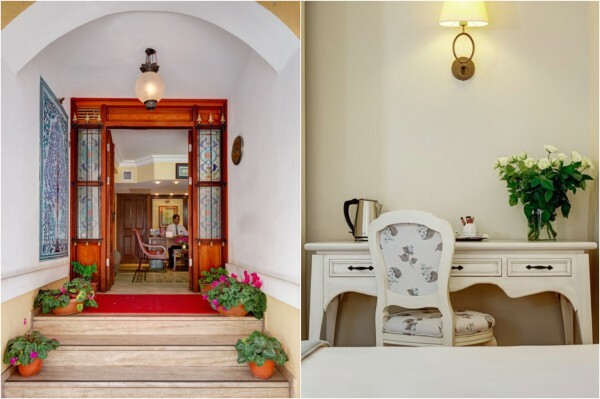 One of them is Arena Hotel, situated in a building dating back to the 19th century and decorated in a very traditional Istanbul style, with heavy wooden furniture, thick curtains and shiny little details wherever you look. 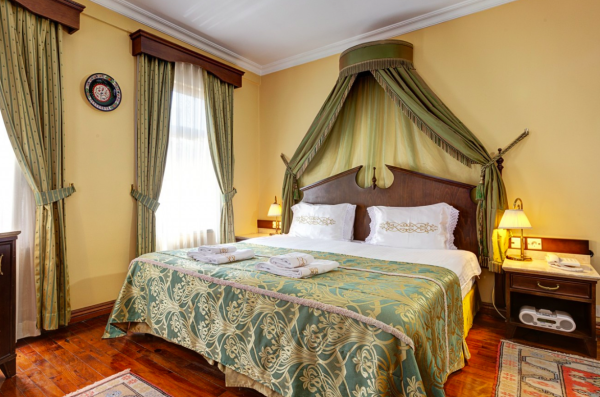 The hotel is located in Sultanahmed, the historical centre of Istanbul, just a few minutes away from Hagia Sophia, the Blue Mosque and the big bazaars. A trip to Turkey would, however, not be complete without a visit to a traditional Turkish hamam – and that’s exactly what you find in the hotel’s spa. 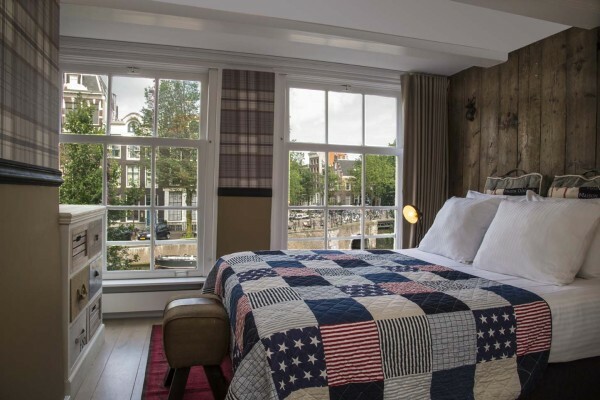 Chic & Basic in Amsterdam sits right by the waters of Herengracht canal in one of the cities nicest neighbourhoods, Jordaan. 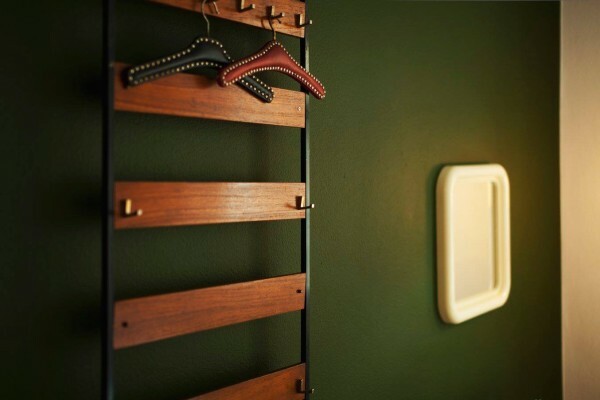 While on the outside the hotel keeps the old-fashioned charm of a 300-year-old facade, the inside is super modern and stylish – perfect combination. The rooms are rustic cool, with wooden panels, plaid wallpaper and bedspreads that look like those in my grandmother’s house, just softer. Central Station is only 10 walking minutes away and the area surrounding the hotel is busy with cafes, bars and restaurants. The hotel also rents out bikes, so you can get the real Amsterdam experience. Zum guten Glück is first and foremost a typical inn – restaurant and cafe during the day, bar and pub in the evening. However, like many traditional inns, they also have guest rooms above the restaurant, which are an affordable and stylish option in the otherwise so overpriced city. There are only 10 rooms, each individually decorated and priced according to size. Everything is very colourful and retro, and downstairs there is always some delicacy waiting for the guests – whether it’s a hearty brunch or delicious ice cream. 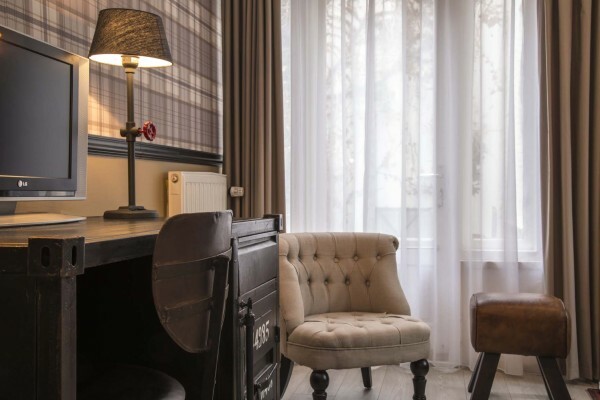 Hotel-Pension Funk is right in the heart of West-Berlin, a stone’s throw away from shopping mile Kurfürstendamm and the Kaiser Wilhelm Memorial Church. This is THE place for you, if you fancy a nostalgic trip back in time – not the classic GDR nostalgia, that you might expect, but the golden 1920s. 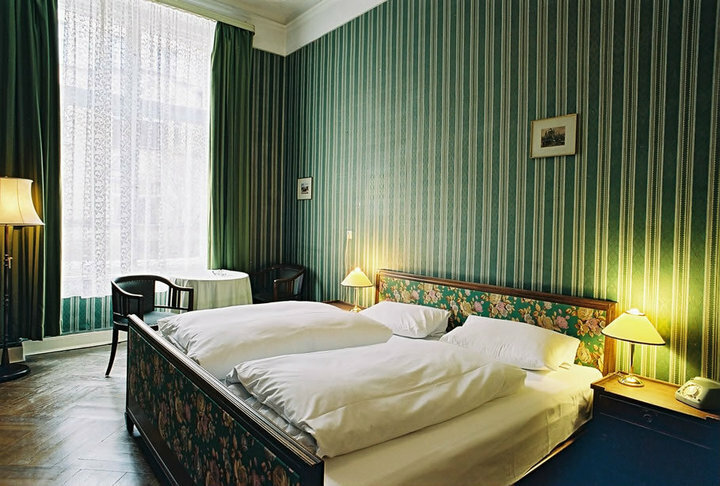 Originally the apartment of silent film star Asta Nielsen, the hotel now has 14 rooms, each individually decorated and fitted with original Art Nouveau interior. 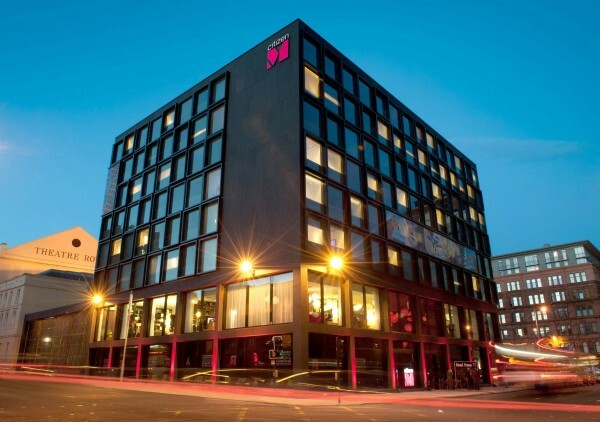 The slogan of CitizenM in Glasgow alone, makes my heart beat faster: ‘the bigger the bed, the better your dreams’. All rooms have XL king size beds – yay! – and wall-to-wall windows and rain showers on top of that. The rooms themselves look minimalist and techie-modern. Everything from the air-con to the coloured lighting can be controlled with a tablet, a MoodPad. Even cooler than the rooms are the common areas – the lounge and work space upstairs, and the cafe area on the ground floor. Through the floor-to-ceiling windows you can watch the busy city traffic float by, while the freely accessible WiFi let’s you work away happily ever after. 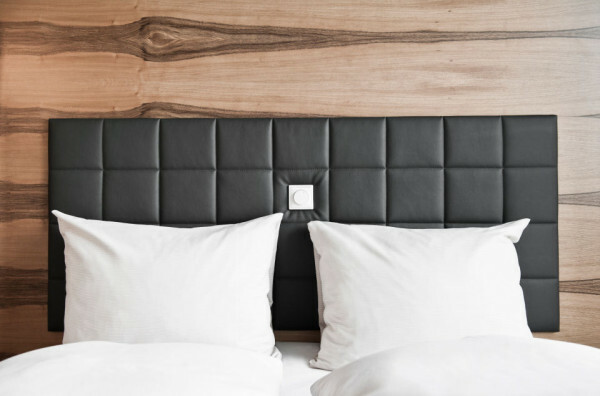 Staying in a stylish city hotel doesn’t necessarily mean spending a lot of money. 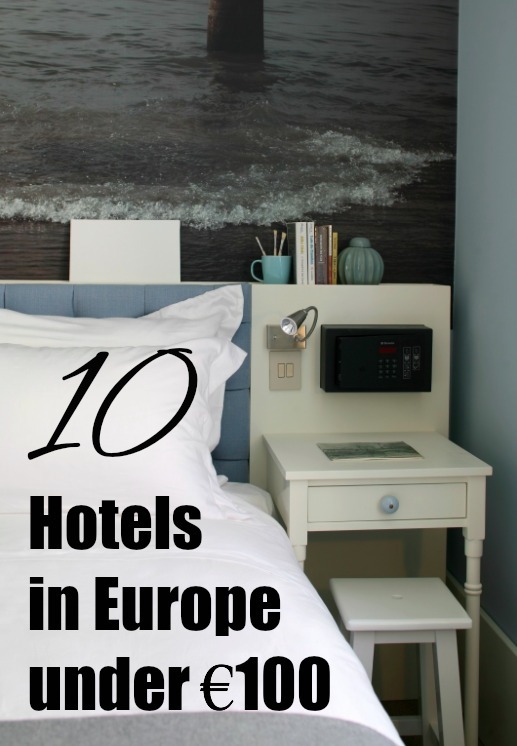 This list of hotels under €100 should get you started, but for more budget options all over Europe check out our Yonderbox ‘Where to Stay in Europe on a Budget’. Do you have any additions to the list? *This post is a collaboration with some of the mentioned hotels. These all look amazing! Any recommendations for Venice?? I have been to the Mosaic Hotel in Prague and loved my stay there, the environment is so great for new people new to the city. I made loads of friends that I am still friends with to this day, I stayed before it got renovated about 2 years ago. Wow some really great picks here- and the Zurich one is a steal for Switzerland!